"The best book I've read in a long time." Where is Wendy? Leading a labor strike against the Lost Boys, of course. In Jane Yolen's first full collection in more than ten years discover new and uncollected tales of beloved characters, literary legends, and much more. Jane Yolen has been called the Hans Christian Andersen of America and the Aesop of the twentieth century. She is the author of over three hundred and fifty books, including children's fiction, poetry, short stories, graphic novels, nonfiction, fantasy, and science fiction. Her publications include Owl Moon, The Devil's Arithmetic, Briar Rose, Sister Emily's Starship and Sister Light, Sister Dark. Among her many honors are the Caldecott and Christopher Medals, multiple Nebula World Fantasy, Mythopoeic, Golden Kite, and Jewish Book awards; the World Fantasy Association's Lifetime Achievement Award, and the Science Fiction Poetry Grand Master Award. 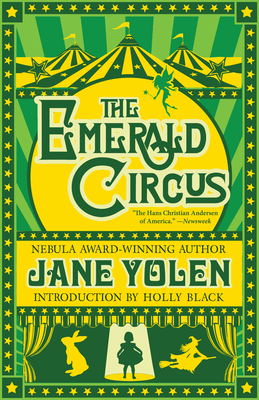 Yolen is also a teacher of writing and a book reviewer. She lives in Western Massachusetts and St. Andrew, Scotland. Holly Black (Tithe: A Modern Faerie Tale, Doll Bones) is the bestselling author of adult, young adult, children's books. Black has co-written the Spiderwick Chronicles (with Tony Di Terlizzi), the Magisterium series (with Cassandra Clare) and she has recently begun work on the graphic novels series, Lucifer. She is the recipient of the Newbery Medal, and the Andre Norton and Mythopoeic awards. Black lives in New England.